History textbooks did slightly better, but not much; people were still names to be memorized and associated with dates, not explored as interesting contributors to society. At the same time, I have great memories of the times when I got to dig deeper into the lives of people who mattered. When I was very young, I had some biography of Marie Curie, probably checked out from our local library, that I read several times over. Women could do science? Whoa! Biographies matter. There is so much to be learned from knowing more about people than their two-sentence summary of accomplishments, and so many ways to get into the real experiences of those people. 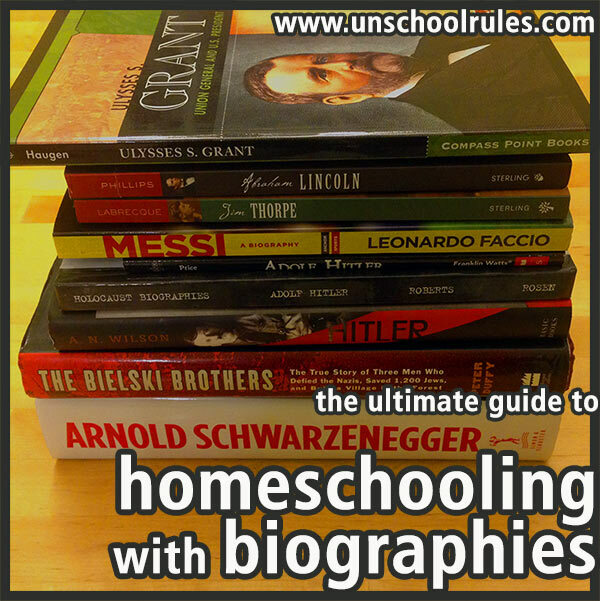 That’s why I’ve taken the time to create this Ultimate Guide to Homeschooling With Biographies. I want to encourage homeschoolers of any stripe to take time to introduce their children – and themselves – to the people who’ve shaped our world. 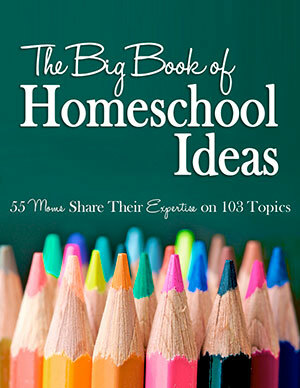 Homeschoolers who use traditional curriculum, but who are looking for interesting supplemental material, especially in the areas of history, science and art. 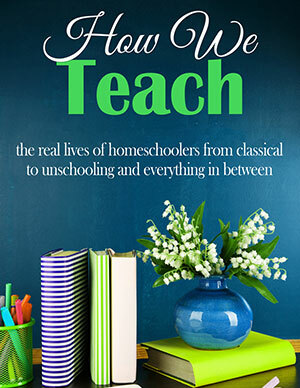 Those who homeschool with Charlotte Mason and other living-book styles who want recommendations of quality books about notable people. 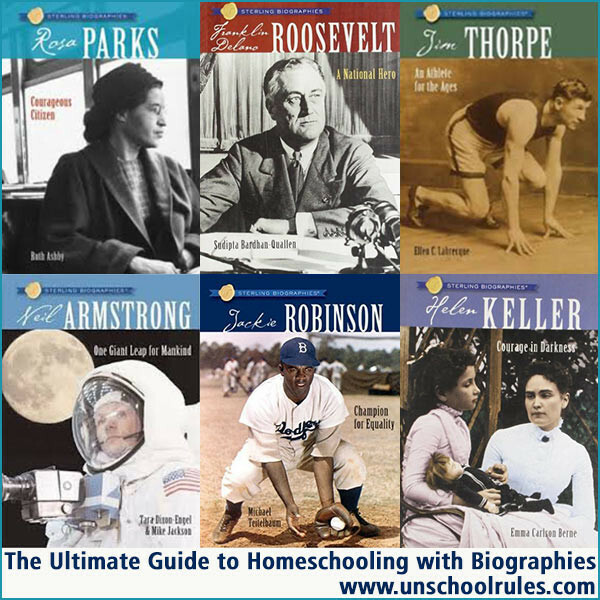 Unschooling parents looking for good books and movies about the people who interest their children, no matter whether they’re historical heroes, sports stars, interesting celebrities or infamous killers. Public-school or private-school parents whose kids need to write a report on some famous person and don’t know where to start. That covers a lot of the parental spectrum, right? Mostly, I encourage you to read through and see how much the study of people is really a great way to explore any topic, from science to history to math to art and beyond. For young readers (elementary and early middle school), nothing beats the Who Is/Who Was biography series. This series (and the accompanying “Where Was” and “What Is” series) are great introductions to famous people, both ones of historical interest and those of current note. This is also one of the most diverse series of biographies I’ve found, including many more women and non-white people, which we particularly liked, and branching out beyond “traditional history” to arts and entertainment. Sarah enjoyed these a ton when she was younger! In fact, here she is modeling Who Was King Tut? from a reading marathon she had in January 2013! There are easily dozens and dozens of these, and you’ll be able to spot them from their bobble-head-style cover art. Here are just a few that might spark the interest of your younger readers. Who Was Harriet Tubman? – Of particular interest now that she’ll be appearing on the $20 bill! Who Was Milton Hershey? – This makes me happy, because I work in the town that bears Hershey’s name. Who Is George Lucas? – Great for young Star Wars fans. Who Is Jeff Kinney? – If your kids love the Diary of a Wimpy Kid, as Sarah did, they’ll like knowing more about Kinney. 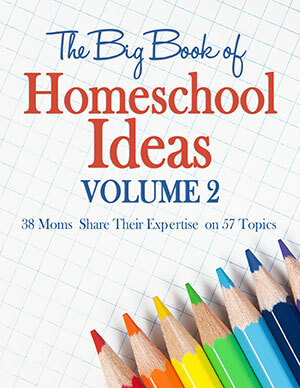 My biggest suggestion for using these books in your family’s homeschooling journey is to read them together! These are absolutely written so that your children can read them on their own, but there is just so much to talk about that you’ll be missing out on a ton of chances to dig deeper if you use these as on-their-own readers. We tackled a section per night before bed and could usually finish one in a week or two. If you’re going to assign some kind of project based on a biography to your younger readers, I’d suggest going beyond a report on the person themselves. Reading the book and learning about the individual should be the start – not the goal. What about tackling one topic or issue raised in the biography? What about researching the place or time period? If you’re into notebooking or unit studies in particular, I can easily envision a major multi-subject, multi-week exploration based on any of these! While I love the Who Was books for younger readers, I get even more excited about some of the many options out there for mid-level readers. These are traditional chapter-based books with lots of great images and deeper information that can be used from mid-elementary age to well into early high school! There are two series of biographies I want to highlight here: Sterling Biographies and Signature Biographies. Both series are ones we’ve used personally and can highly recommend; in fact, as you’ll see a bit later, Sarah and I are reading the Signature Biographies book about Ulysses S. Grant together now! This one is kind of a “cheat” on my part, because the real answer is that high-schoolers and adults get the best possible biography experience. You and your high-schoolers can both benefit from “lower-level” biographies like those mentioned above, and in fact, one thing Sarah enjoys doing is reading something like a Sterling or Signature biography and then specifically finding something that was only covered at a surface level and digging deeper. But you can also find an almost endless number of biographies or memoirs on almost anyone of interest written for adults. I especially value biographies at the high-school age because they can be a huge window into the adult world. If your teen has an idea about a potential career, I almost guarantee you can find a biography or memoir of someone who’s done it – I mean, I turned up at least three accountant biographies. 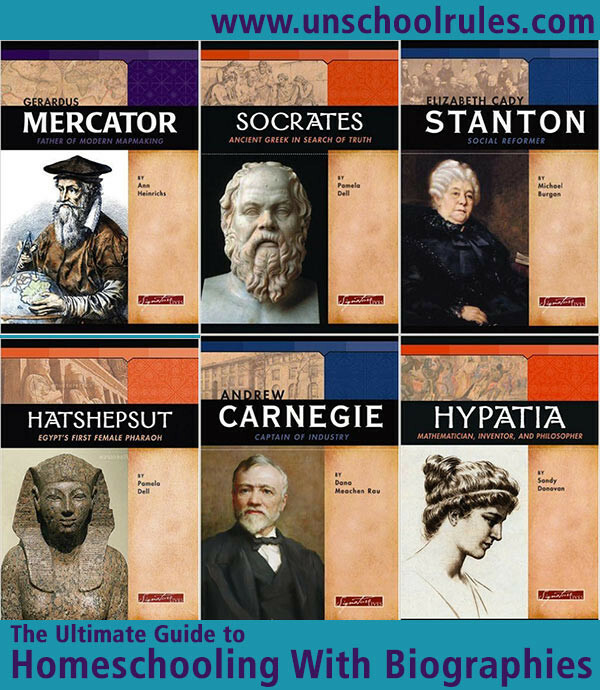 If your teen wants to know more about philosophy, or art, or science, or math, there’s a biography that will likely do more to engage them in that topic than any textbook. The possibilities are unlimited. But if you want more concrete suggestions, read on! The books below will be a great start, and if none of those spark your interest, maybe they’ll raise ideas for the types of people you or your teens would like to know more about. This is the fun part! By no means is this a complete list, but here are just some of the biographies, autobiographies and memoirs on our shelves, either that we’ve already enjoyed or that we’re hoping to read soon. Total Recall – Arnold Schwarzenegger’s autobiography was Sarah’s favorite book of the past year. The Bielski Brothers – Sarah read this about a year and a half ago after seeing the movie Defiance, which I’ll talk about in a little bit. The book’s subtitle, “The True Story of Three Men Who Defied the Nazis, Built a Village in th Forest, and Saved 1,200 Jews” sums it up well. Adolf Hitler (Wicked History) and Hitler – I talked in detail in an earlier post about Sarah’s interest in why Adolf Hitler did what he did, and these were a couple of the few non-academic-disseration-level biographies we found. Messi: A Biography – A short look at Sarah’s favorite soccer star. Jim Thorpe: An Athlete for the Ages – This is from the Sterling series I mentioned above, and really sparked an interest in Sarah in this Native American athlete, whose namesake Pennsylvania town we visited. Abraham Lincoln – Another Sterling biography that Sarah loved. Ulysses S. Grant – This is a book in the Signature series I mentioned above that Dan and I picked up for Sarah on a trip to Harpers Ferry, W.Va., last year. She and I just started reading it together – should be a quick read. A Beautiful Mind – The book portrayal of mathematician John Forbes Nash is way better than the movie (though comparing both is nice, too.) This is one of my favorites. The Boy Who Harnessed the Wind – I read this within the past year and loved it. It’s the story of William Kamkwamba, a Malawian boy (now man) who brought wind power to his village. Feynman (graphic novel); Genius: The Life and Science of Richard Feynman (biography); and Surely You’re Joking, Mr. Feynman (autobiography) – A look at our family’s favorite physicist. We’ve read all of these plus a lot of his other works. The World’s Strongest Librarian – This memoir by librarian Josh Hanagarne, who battles Tourette’s, is amazing. One of my favorite reads this year. Dr. Mutter’s Marvels – A biography of Thomas Dent Mutter, who founded a musuem of medical oddities I love in Philadelphia and who pioneered a bunch of new surgical techniques. Ghost in the Wires – This is the autobiography of noted hacker Kevin Mitnick, and it’s phenomenal for anyone interested in technology. Magnificent Desolation – Buzz Aldrin’s autobiography was my pick when Sarah was interested in space exploration a few years ago. Telling the Story of Lassa Fever’s First U.S. Victim – This was a biography that I was privileged to write as part of my journalism career. It was an incredible experience to be on the other side – wondering how to tell a person’s untold story. The Power Broker: Robert Moses and the Fall of New York – This book is about Moses, the controversial urban planner who is responsible for much of New York City’s current infrastructure. Ada’s Algorithm: How Lord Byron’s Daughter Ada Lovelace Launched the Digital Age – Most of our family read this book in the past year. Ada Lovelace is an amazing person, but I admit the book was slightly less well-told of a story than I was hoping for. The Catcher Was a Spy: The Mysterious Life of Moe Berg – This book about Berg made Chris’ recommendations list. It’s about a man who was both a Major League Baseball catcher and a spy for the OSS during World War II. My Beloved World – This is Supreme Court Justice Sonia Sotomayor’s autobiography. Portrait of an Obsession – Subtitled “The life of Sir Thomas Phillipps, the world’s greatest book collector,” those who know Chris probably don’t find this suggestion a surprise. Kill ‘Em and Leave: Searching for James Brown and the American Soul – An interesting portrayal of the Father of American Soul, musician James Brown. Private Demons: The Life of Shirley Jackson – This biography details the life of noted author and playwright Shirley Jackson. Lakota Woman – This book is Mary Crow Dog’s autobiographical account of her life on the Rosebud Indian Reservation in South Dakota. Vincent Price: A Daughter’s Biography – Price is one of our family’s favorite actors, and his daughter’s account of his life is an excellent read. Nuremberg: Infamy on Trial – This sounds like it’s not a biography at all, but it’s a tricky one. It’s the story of Robert Jackson, a Supreme Court Justice who was tapped to lead the War Crimes Council at Nuremberg after World War II. This book does one of the best jobs of being thorough and detailed while still engrossing you completely. Walt Disney: The Triumph of the American Imagination – You’re probably thinking to yourself, “I don’t really need to read 912 pages about Walt Disney. There has to be a movie or a cartoon or something I can watch.” And there probably is. But Neal Gabler takes you along for the entirety of Walt’s life, building on every success and failure to explain why Walt did what he did. A Curious Man: The Strange and Brilliant Life of Robert “Believe it or Not!” Ripley – You’ve probably seen the faux-wax museums in major cities, or one of the endless books that trapped the quintessential traveling carnival sideshow on the printed age and allowed us to bring it home. Robert Ripley was obsessed with the weird, and determined to chronicle it. King Edward VIII – If you saw The King’s Speech, you laughed, cried and cheered as an awkward, stuttering Colin Firth unexpectedly rose to become king and lead the English to victory over the Nazis in World War II. But what about his brother? You know, the one who was king first? This book was one of Dan’s picks because Edward VIII has always fascinated him, both for his personal choices (he abdicated so that he could marry an American divorcee) as well as the country’s (well, he is the king, but he likes that loud American woman so he’s got to go!). So, Anyway … – This is John Cleese’s autobiography, and how could you not want to know more about the man who, more than any of the other members of the group, exemplifies Monty Python? What kind of brain thinks up the Parrot Sketch? Or bases an entire television series around a rude hotel manager? Cleese is smart, witty and a good writer. So here’s what I LOVE telling people: Learning doesn’t just come from books. In our family, movies and TV shows are a huge part of our learning, and when it comes to learning about people, it’s no different. So, one night last week, we all sat down and brainstormed a list of biopics. This was a ton of fun – and also full of controversy. Some things got left off the list because we felt they took too many liberties with the person’s real story (Finding Neverland and A Beautiful Mind, I’m looking at you!) But… I DO encourage you to watch those movies – and read the corresponding books. It’s fun to compare and contrast what’s real and what’s just part of a good film. Here are just some of the movies, in no particular order, that passed muster with our family, along with a very short description of their subject. Please do your own investigations of all of these. We found them, if not 100% accurate, at least pretty thought-provoking, but some are definitely better for older audiences. And in all cases, you can certainly find some cool books about these people too! Schindler’s List – Oskar Schindler saved more than 1,200 Jews during the Holocaust by employing them in his factories. The Elephant Man – Joseph Merrick (called John in the movie) was born with a congenital deformity and was displayed as a curiosity in the mid- to late 1800s. American Splendor – Harvey Pekar was an underground comic book writer and music critic. Persepolis – Based on Marjane Satrapi’s autobiographical graphic novel, this anime-style movie tells the story of Satrapi’s childhood through early-adult years in Iran during and after the Islamic Revolution. Erin Brockovich – We had mixed votes on this one. Dan hates it; Chris loves it; I’m in the middle. Brockovich is an American legal clerk and environmental activist, who, despite having no formal education in law, built a famous case against a utility company that’s depicted in this movie. Young Mr. Lincoln and Lincoln – Yes, these are both about Abraham Lincoln – the first from 1939 and the second from 2012. Fear Strikes Out – This is about Jimmy Piersall, who was a Major League Baseball player who suffered a nervous breakdown and was able to recover after many years of therapy. The Spirit of St. Louis – Jimmy Stewart stars in this portrayal of aviator Charles Lindbergh. Born Free – Joy and George Adamson raised a lion named Elsa in Africa. This is an amazing movie that, fun fact, our CAT used to love to watch on TV. Coal Miner’s Daughter – This tells the story of country singer Loretta Lynn. Gorillas in the Mist – Dian Fossey was an anthopologist who traveled to Africa to study rare mountain gorillas. Chaplin – Robert Downey Jr. stars as comic genius Charlie Chaplin. The Insider – Jeffrey Wigand is a former tobacco scientist who violated contractual agreements to expose the inclusion of addictive ingredients in cigarettes. 61* – This film details the summer of 1961, when Roger Maris and Mickey Mantle took on Babe Ruth’s record 1927 single-season 60 home-run slam. Man on the Moon – Jim Carrey does an EXCELLENT portrayal of troubled comic Andy Kaufman. This was one that was borderline on the list for its “takes a lot of liberties” nature, but it’s so, so good. Saving Mr. Banks – This recent film tells the story of P. L. Travers, the woman who wrote the Mary Poppins story, and how the tale came to be a Disney property. The King’s Speech – George VI becomes King of England, but has to overcome a debilitating speech impediment. Colin Firth does an amazing job in this. 8 Mile – Here’s one that also almost didn’t make the list, because it’s not technically the story of rapper Eminem, except it is. We talked about why we see value in this when we talked about Eminem’s life. Add into this category Straight Outta Compton, which of course is not going to be appropriate for all audiences but which is a real, gritty portrayal of a particular kind of life. Temple Grandin – I have to admit, I’d have voted this one off the list, but Dan was adamant that it’s a great portrayal of Grandin, a woman with autism who earned her Ph.D. and became an author and speaker. Band of Brothers – This is the story of the men of Easy Company, a U.S. Army Airborne regiment, on the ground in Europe during World War II. Chris and Sarah are watching this together now and really finding a lot to talk about in it. Defiance – This Daniel Craig movie sparked Sarah’s interest in World War II and tells the story of the Bielski brothers, Jews who escaped to the Belarussian forest during the Holocaust. Valkyrie – The last of our World War II collection, in this movie, Tom Cruise plays Colonel Claus von Stauffenberg, the man who tried to assassinate Hitler. READER RECOMMENDATION: In the Name of the Father – Awesome Unschool Rules Facebook fan Michele Kennedy suggested this movie depicting the life of Gerry Conlon, a petty thief in Belfast, Ireland, in the 1970s, who ends up forced to confess to a terrorist bombing even though he’s innocent. This sounds like an amazing story and one I’m glad to add to our watchlist. IMDB: Looking for biographical information on your favorite actor or actress? Our first stop is almost always IMDB. Wikipedia: This is a case of “use good judgment.” Some biographies on Wikipedia are great, and others are full of inaccuracy. They make a great starting point for an overview, however! Bio: Biography.com is the site from the A&E Network’s Biography channel. 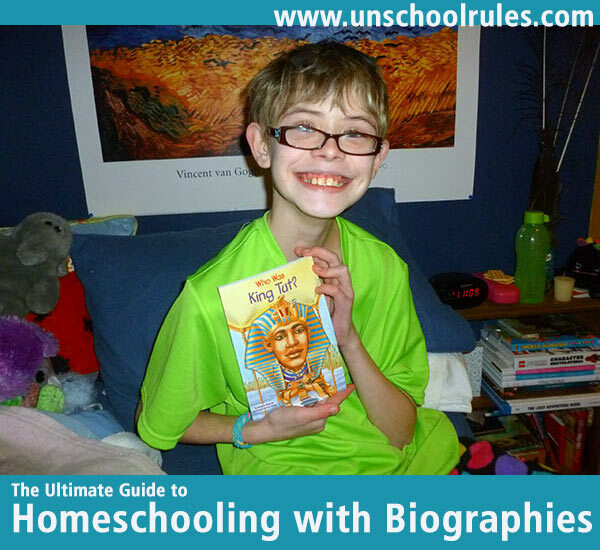 How to help your kids fall in love with history: This post from Kris of the blog Weird, Unsocialized Homeschoolers (writing for Simple Homeschool) is a good overview to seeing the value of biographies in history education in particular. 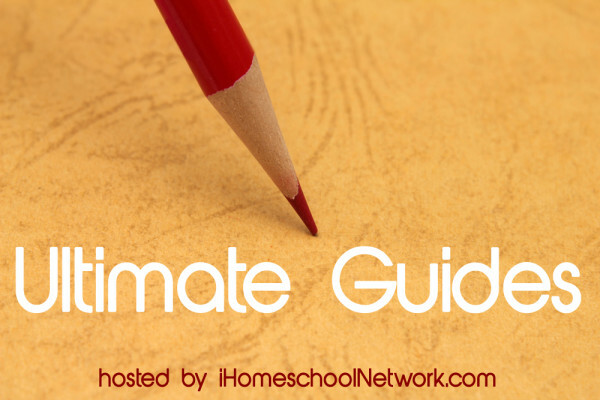 You can also check out the Unschool Rules ultimate guides from previous years: The Ultimate Guide to Learning from Movies and TV Shows, The Ultimate Guide to Homeschooling for Working Moms and The Ultimate Guide to Homeschooling and Unschooling in Pennsylvania. 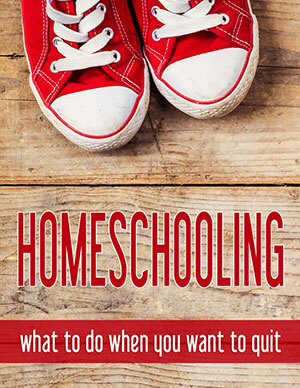 This entry is about books, curriculum, history, homeschooling, reading, unit study, unschooling. The previous post was Unschooling: Our March 2016 adventures. The next post is Celebrating the legend of Vincent Price. I would add The Immortal Life of Henrietta Lacks to your list. It is a great intro to the moral dilemma of cell research. So I read that one, Melissa, but I really didn’t love it! I love and am very familiar with the Henrietta Lacks story, but that particular version of it just didn’t resonate with me. 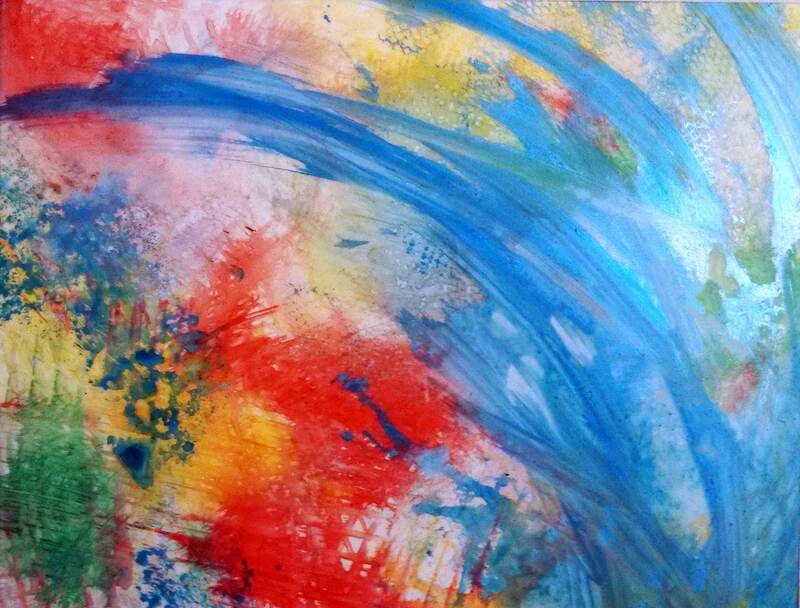 But you’re so right – topically speaking, that’s an incredibly important one to discusss! Wonderful. We have used biographies for years, as a solid means of delving deeper. Thank you for the comprehensive list. Will definitely look at Sterling. Melanie, they really are awesome! I hope you like them.